Jung really got going with his interest in imaginative ability when he studied his younger cousin. Helen Preiswerk had the ability to go into self-imposed trance and to say remarkable things way beyond her personal experience and education. Later, Freud deepened Jung’s interest in the stories and pictures we see in our dreams and dreamy experiences during the day. Jung set aside time when he could be alone and when he would allow himself to drop into the underground of his imagination (as he stated it). He didn’t say much about how he got into a receptive state of mind but his description of falling into the unconscious implies of letting go of daily concerns to the point of getting to where he felt he was between waking and sleeping and then he took off the brakes and went more deeply inward. So, to be Carl Jung, set aside some time when you will be: alone, not rushed or distracted, and in a situation to progressively relax (for mastering relaxation, see our sister blog, www.WildStress.com). Jung went deeper into his exploration of imagination when he had a big blow-up with his mentor, Freud. Out of Freud’s expanding world-wide circle of associates, lecturing, and writing, Jung had a lot of time on his hands. To keep busy, Jung tells of extended periods of imagination work where he told of being open to whatever came up. In fact, he was excited about doing open-ended exploration just to see if he could discover the full range of experience. Jung=great explorer. Jung and later followers of Jung embraced the notion of frequently (not always, but often) leaving the imagination undirected. This means not going into the imagination with some specific goal (i.e. figure out a dream) but to let the unconscious speak in its own way, in its own time, and about what it considered important. 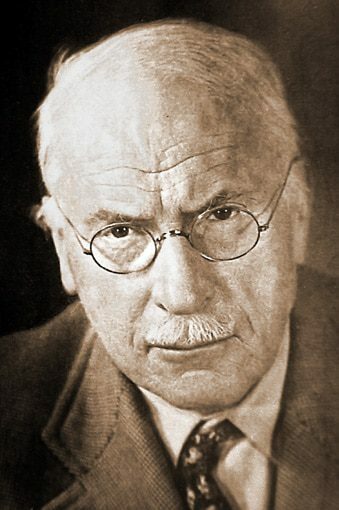 To be Carl Jung, drop preconceived notions of what is in your imagination. Just setup the conditions for your unconscious to feel free to step forward and communicate. Be open and accepting. More steps to come in the next post(s).